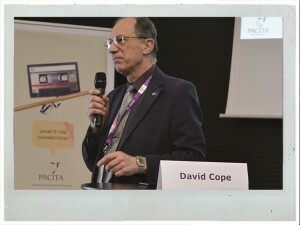 Scientific ethics in China, the need for senior citizens to be independent and the German TA approach that impressed the man from Japan, were just a few of the topics under discussion at the PACITA conference in Prague. ‘Our states, parliaments, and indeed democracies, need to be reinvented by experimenting with new forms of participation, expert advice and decision making’. 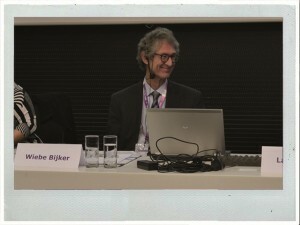 Wiebe Bijker, Keynote speaker. Eclectic. That is probably the best word to describe the Pacita conference that took place in Prague (13-15 March 2013). Under the banner Great Transitions, specialists from all walks of TA-life gathered to discuss their profession as part of the four year PACITA program. Almost 200 presentations crammed into three days giving the attendees a crash course in current developments in modern Technology Assessment. From innovations in healthcare for the elderly in the Czech Republic to the (hotly debated) development of science ethics in China; to the necessity of electric transportation in Portugal, and the potential hazards of bio-engineering everywhere. The conference in the Czech capital was nothing if not a mixed bag. An excellent example of a real great transition is the work of the German Steinbeis-Europa-Zentrum (SEZ). At the conference they presented their study on the so called cluster approach of the German government. In short, clusters are groups of research institutions, companies, universities and other agencies that bid on government grants to come up with new technologies and innovations. As the SEZ research shows, the secret of a successful cluster is cooperation within a value chain. All links in the chain must get something out of the project. A good example is the design of new infrared sensors that will make cars more fuel efficient. A number of research institutes and the industrial behemoth Bosch are working together to design the new generation of sensors. All players are very committed and state that they communicate well. According to the SEZ investigation, this minimizes the risk of the project failing. How does a cluster come into being, asked a Japanese guest? He said he has the intention of copying this method in his home country. A contest is a good starting point, said Herr Clar of the SEZ. Governments should organise competitions for any large-scale innovation projects that are only open to clusters. This way, you force various parties to cooperate and discuss their ambitions at an early stage in the project. Over in another room at the national technical library in Prague, another group of TA specialists was concentrating on presentations covering a very different, but equally important transition: dealing with an aging population. The European baby boom generation is reaching their golden years and many countries are faced with the question on how to handle that demographic development in a responsible way. A Czech research project discovered that modern seniors value autonomy above anything else. They want to be self reliant, stay in good health and eschew the concept of a nanny state which tells them how to live. No surprise there, but how does a state meet these demands? As the Czech researcher stated, about 25 percent of the over 85s are suffering from dementia. These people might not be capable of living autonomously. The same research showed that one way is to forego the paternalistic approach that was prevalent until recently. The whole life of a senior citizen must be taken into account (was he or she very independent prior to the onset of dementia?) in trying to find out what kind of care fits each individual. The elderly should not be treated as a homogenous group; decisions should be based on individual need. Technology can help reach those goals, a delegate from the Netherlands added, but only if it is specifically tailored – and designed with the help of – senior citizens. Obviously, most Technology Assessment is undertaken for the benefit of policy makers. How do TA-professionals service these demanding clients? What do policy makers think of TA? A major session under the chairmanship of old TA hand David Cope compared projects in Finland, Germany, Denmark and the Netherlands. The session was somewhat hindered by the absence of sufficient politicians. A German member of parliament cancelled at the very last moment, leaving the German TA-professional to discuss the matter with himself. Still, Cope managed to get a good discussion going. TA means different things in different countries. German TA stays very close to parliament, even to the extent of being assigned projects by individual members of the Bundestag. The independent-minded Dutch keep politicians at an arm’s length, but do work together if circumstances so require. The Danes are very service-oriented. In the words of Bjørn Bedsted of the Danish Board of Technology: “Search out your client. Ask him what he wants and prepare your reports accordingly.” His client, division head Søren Jensen of the Danish ministry of Environment, smiled in agreement. Not all presentations were that hands-on. Sometimes a very high degree of abstraction was reached. In a very interesting clash of intellects, sociologist Joy Zhang of the University of Kent (UK) went head to head – figuratively speaking – with sinologist Ole Döring of the Horst Görtz Institute in Berlin and anthropologist Aditya Bharadwaj of the Graduate Institute of International and Development Studies in Geneva, Switzerland. Zhang is the author of the acclaimed book Cosmopolitization of Science, which assesses the development of bio-ethics and technology governance in China, especially in the field of stem cell research. During a very strong presentation, Zhang made clear that China is no longer the ‘wild east’ when it comes to science and ethics. For her book she visited 22 research teams in China and she came to the conclusion that they are now part of the international science community. Döring and Bharadwaj were invited to critically assess the book. Both started out with lavishing praise on the work of Zhang, believing, like her, that the time of ‘us’ against ‘them’ is over. To quote Döring, it is the time for building bridges across cultural divides, so science can reach its full potential. That did not mean there was no criticism. Döring did not like the very matter-of-fact methodology of Zhang. Her tome is – in his words – ‘not a TA book’. He would have liked for her to have reached more outspoken conclusions. Bharadwaj’s critique focussed on the way in which the west still looks at oriental countries. Our outlook vis-à-vis China is still politically coloured and normative, he declared. He would like for scientists from developing countries to no longer accept unequal access to the international scientific community. The time of the subaltern (an ex colonial outside the power structure) should be over. In short, Bharadwaj would have liked a more politically charged book. A major part of the conference dealt with quantifying science and research. There is such a deluge of research papers, even the most hardened TA organisation will find it impossible to read each and every one that is published. A new paper on nanotechnology is published every eight minutes, according to a delegate from the German Fraunhofer Institute. During his presentation alone, another ten were added to the growing library on this subject. In order not to drown in this sea of research papers, bibliometric research is of great importance. By using software to assess papers, one can get an idea of trends and developments without having to read everything. The Etcetera project is a case in point. It uses bibliometric methods to seek out technologies to be included in the future agenda of the European Union. The project identified 127 emerging technologies in this way. It then asked a group of experts from the scientific community: which technology is more important than the others? As B. Wepner of Etcetera explained, you end up with a ranking of various technologies: “not a truth, but an assessment.” But it is also a blueprint for policy makers of which technology shows the most promise. Most people at the conference were obviously European, with especially large delegations from Germany and the Nordic countries present. But there were also representatives from further afield. American, Japanese, Chinese, and Israeli TA-professionals were in attendance. A small Australian delegation presented a very interesting case from Tasmania, where they studied companies manufacturing underground mining equipment. The researchers down under noticed that a shift from low- to high skilled work is taking place in this sector. Mining equipment becomes increasingly complex and expensive, yet the local work force does not seem to develop equally fast. The result is a mismatch between the Tasmanian labour pool and the skills that are required to manufacture such equipment. This tension is somewhat relieved by cooperation between traditional factory floor workers and specialists with a university degree. The Australians found welders who require input from physicists in order to make the right kind of equipment. Competitors also start talking to each other. Those conversations lead to joint problem solving. The conference was well attended and lively discussions went on well outside the official sessions. A buffet dinner – with before-dinner drinks courtesy of the Finnish TA-delegation – in the ancient convent of Saint Agnes was one of the highlights of the three day event. If any criticism could be heard in the corridors of the conference, it was that a lot of sessions could be presented with a little more pizzazz. Too many European scientists seem to miss the stage and presentational skills of their American counterparts, who know how to engage an audience by packaging their information in a gripping and even entertaining way. When your message is that important, be passionate about the delivery.